such a great photo! :) congrats on your pregnancy...hope you're feeling well! Love you post and picture. Living in O-town make you jagged when it comes to the theme parks since majority of us has passes, so its nice to see other enjoying it for the first time. cute pic! nice "embrace" moment! Beautiful photo and what a fun experience! I love the light in the picture of the 3 of you. Super cute! Those are beautiful photos...but what really caught my eye was your great hair cut! I'm thinking of getting a pixie cut...do you like it? oh my goodness i love your lil' man's argyle sweater in the header, so cute! Hogwarts is huge! okay 1. you should have told me you were coming to orlando, i could have met you and given you a high five. and 2. i feel the need to rub it in your face that i got into harry potter world, for free...and got to the front of all the lines...thanks to a friend here who's father in law is the ceo of universal. sorry, i'm mad that you didn't tell me you were coming. 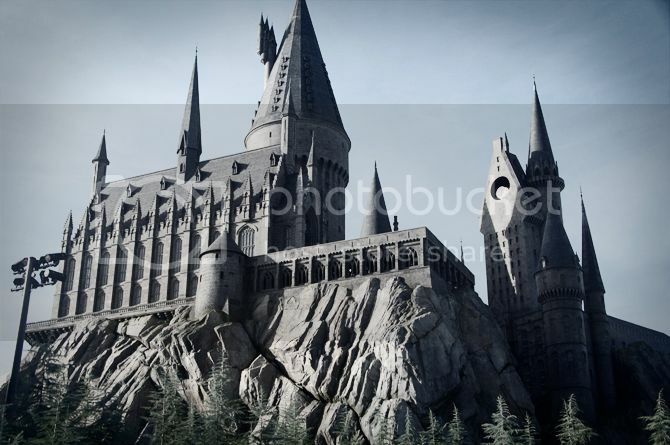 but cute photos :) isn't hogwarts magical? 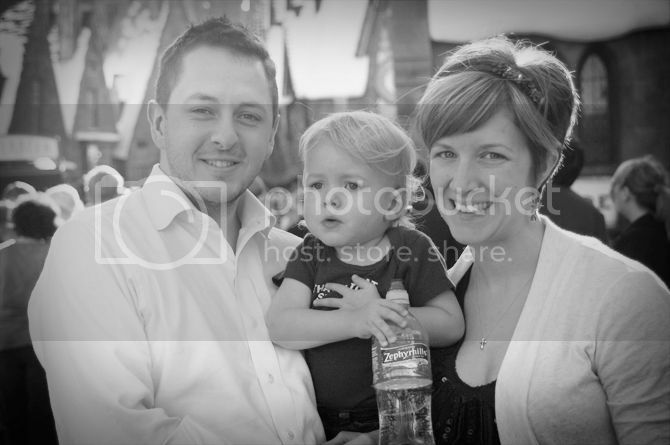 CUUUUTE family!! Looks like one magical place!! LOVE it!